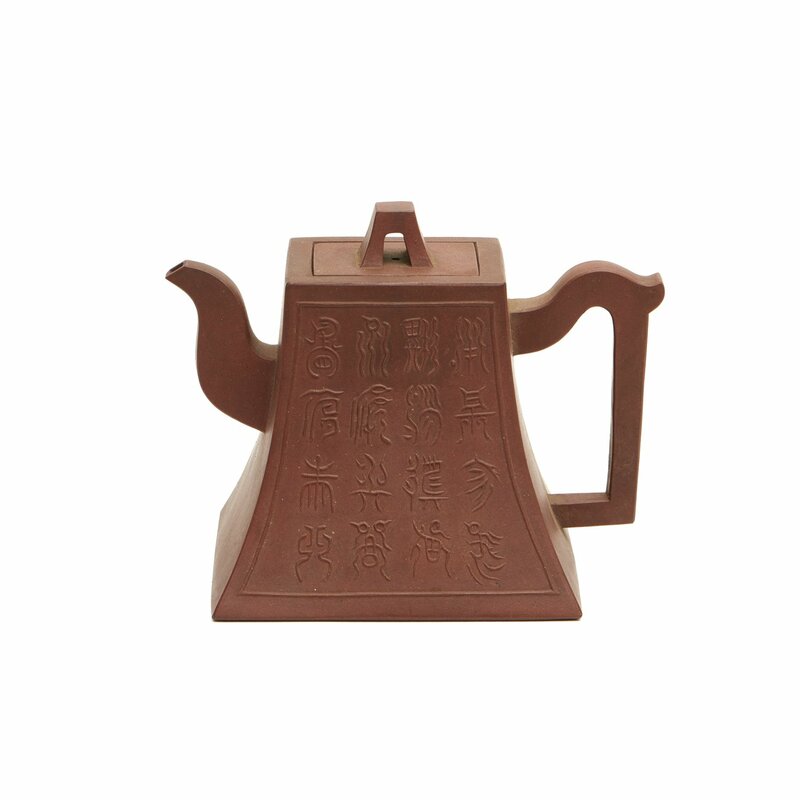 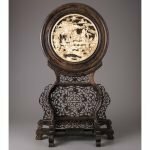 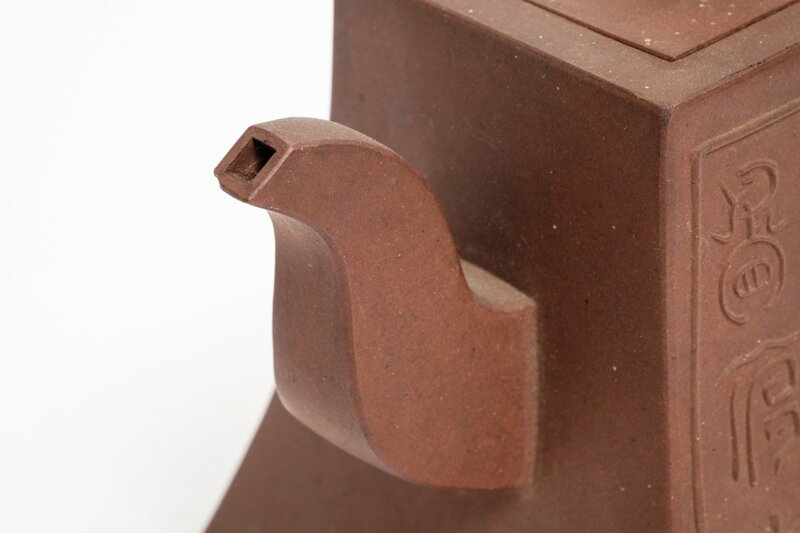 Square brown Chinese Yixing stone-ware teapot with at one side a decorative inscription in archaic characters. 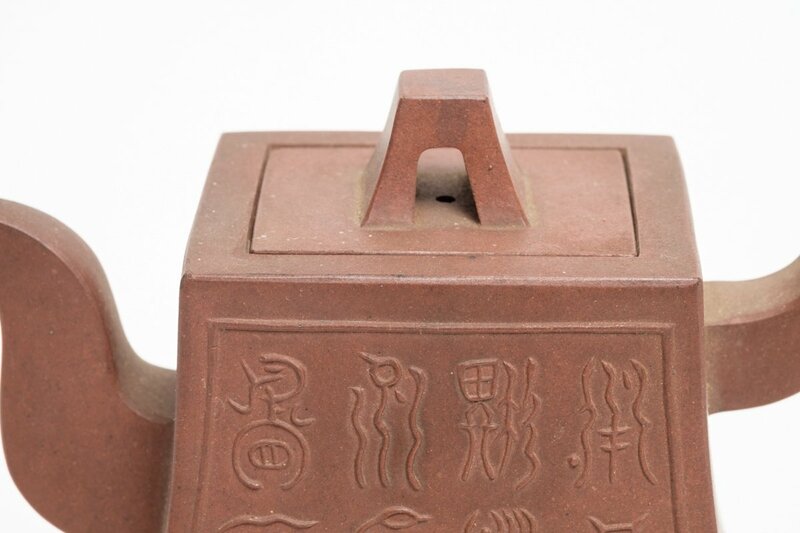 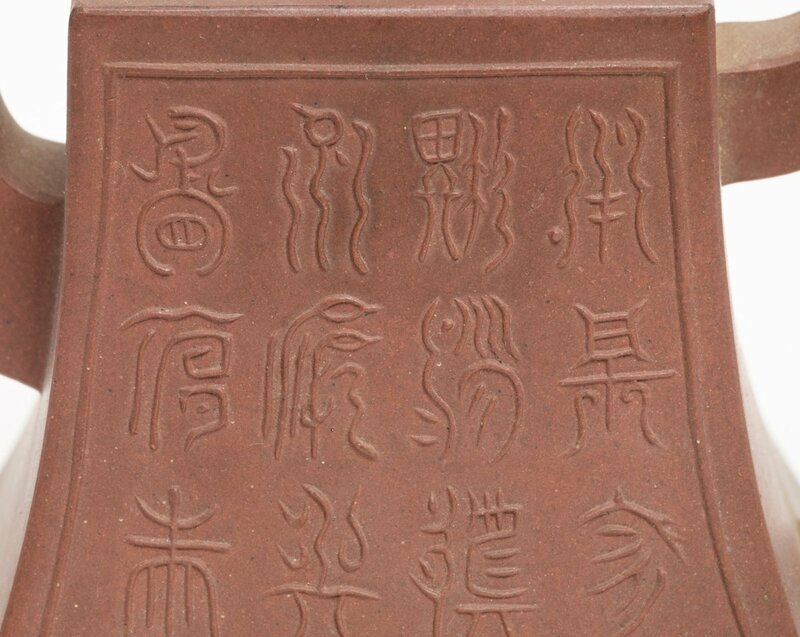 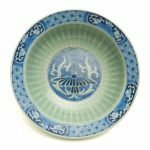 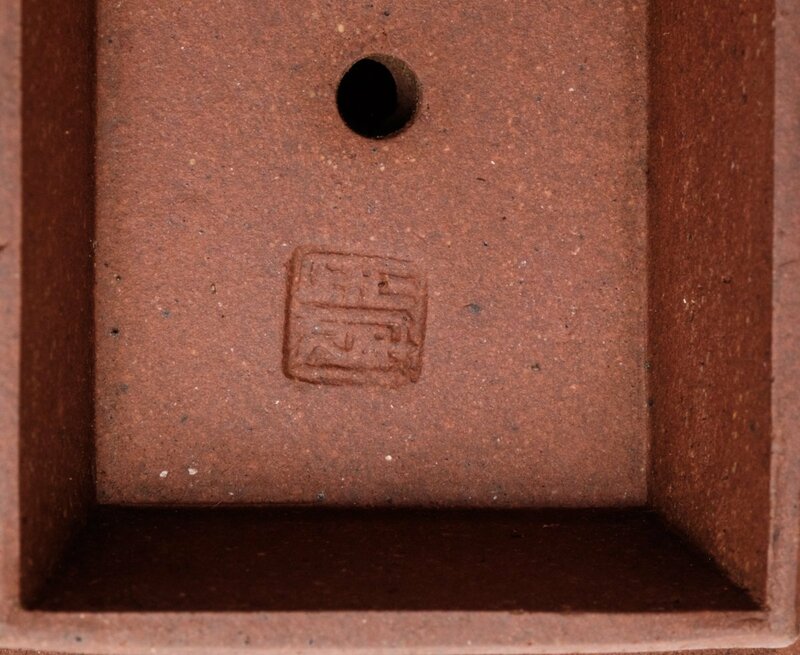 Bottom mark: Yixing zisha minghu (famous teapot of Yixing purple ware). 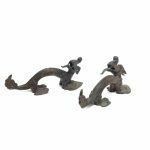 Size; H. : 12 cm; W. : 16 cm; D. : 10 cm.